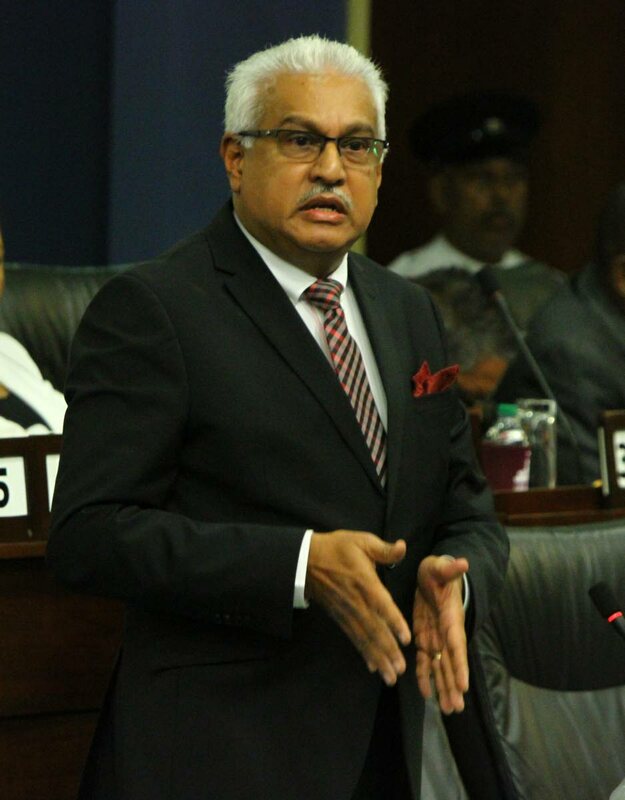 HEALTH Minister Terrence Deyalsingh yesterday said the babies with bacterial infections at the San Fernando General Hospital’s Neonatal Unit were being treated with an antibiotic cocktail and their infections were not due to unsanitary conditions. He was responding to an urgent question for oral answer in the Senate. Opposition Senator Wade Mark asked, in light of reports that the Neonatal Unit was operating under unsanitary conditions, what urgent measures were being implemented to ensure the situation was rectified and infected neonates received immediate care. Deyalsingh said the question was based on a false premise and the conditions were not unsanitary. He explained the problems were caused by babies with bacterial infections and their cots being too close to other babies. He said this had been a problem for 15 years and no one paid any attention. He reported that he met with the South West Regional Health Authority and in two weeks an area will be designated to separate the babies with bacterial infection and those without, and in six months there will be a new facility. He also reported a deep cleaning of the unit had been done. Deyalsingh said there was a wider global problem of antibacterial resistance which had reached the shores of this country. He reported that last year the Government, for the first time in the country’s history, moved to set up a Cabinet approved anti-microbial committee to address the issue of antibiotic resistance in TT. He explained the committee has been tracing back to the community because when mothers have antibacterial resistance organisms they may not present symptoms. Mark then asked what was being done to assist the children who had been infected and Deyalsingh responded they are on a cocktail of antibiotics to deal with the multi-organisms. Deyalsingh said he visited the babies and they were all doing quite well. Opposition Senator Khadijah Ameen then asked if the children could be treated at the Couva Children’s Hospital but Deyalsingh retorted that the previous administration should have spent money on the Neonatal Unit and not “vanity projects.” He added that the Couva Children’s Hospital only has a ten-bed obstetric/gynaecology ward, which would not be enough. Reply to "Antibiotic cocktail for bacteria-infected babies"